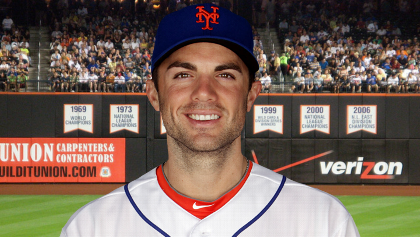 “Tear down this wall,” trade candidate David Wright said with his actions. All the nerd that’s fit to print. “We will listen on [David] Wright for sure,” a Mets official, cloaked in secrecy and/or an actual cloak, has told Joel Sherman of the New York Post. The 29-year-old third baseman, who batted .254/.345/.427 (.302 BABIP) in 447 plate appearances this season — good for a 118 wRC+ and, minus 10 or so runs for fielding, a 1.9 WAR — is due to make $15 million in 2012, with a club option for $16 million ($1 million buyout) for 2013. The Colorado Rockies have expressed interest in free-agent second baseman Jamey Carroll, Troy Renck of the Denver Post reports. Carroll has posted a wRC+ of 104 over each of the past two seasons and has been worth 4.7 WAR over that time while splitting time between short and second. He’ll turn 38 this offseason, as well, which suggests that down is the most likely direction for his production to go. At the moment, some combination of Jonathan Herrera, Chris Nelson, and Eric Young would play second for Colorado in 2012. Cub right-hander Carlos Zambrano made his first start in the Venezuelan Winter League on Sunday, MLB.com’s Carrie Muskat report. The Venezuelan native pitched 2.2 innings, striking out three and walking two of the 14 batters he faced. All four of the out recorded on balls in play were ground-ball outs. In related news, Dmitri Young appears to be one of Zambrano’s teammates. The leaderboard remains largely unchanged from Friday’s edition, with the exception of Nationals catching prospect Derek Norris displacing Colorado minor-league third baseman Nolan Arenado from the top 10. Another home run and walk from Robbie Grossman during play on Friday moves him even further up the SCOUT charts. For pitchers, SCOUT is the average of a player’s standard deviations from the AFL mean in (regressed) strikeout and walk rate. • With his second dominant performance in as many starts, Texas prospect Miguel De Los Santos, 23, replaces Bradley Boxberger atop the SCOUT leaderboard. De Los Santos pitched five innings on Friday, recording seven strikeouts against no walks. In his last 10 innings, he has 15 strikeouts and no walks — the latter stat being of some significance for a pitcher who walked 11.5% of the batters he faced (4.4 BB/9) across three minor-league levels in 2011. • Washington minor-leaguer Patrick Lehman, 25, appears in the top-10 pitching leaderboard for the first time, having recorded six strikeouts and no walks over his last three relief appearances (3.0 IP). Lehman had 45 strikeouts and only four walks in 49.2 innings between High- and Double-A this season. Both StatCorner and Minor League Central indicate that he was able to maintain ground-ball rates of better than 50% at both levels. Baseball America released, on Friday afternoon, a list of the 537 minor-league players who were granted free agency. These are players, generally speaking, who have either played in the minors for six years and aren’t on the 40-man roster or who signed a minor-league contract that has expired. Juan Miranda (Arizona), the mustachioed Clay Zavada (Arizona), Kenshin Kawakami (Atlanta), Matt Young (Atlanta), Jorge Cantu (Colorado), the embattled Jeff Allison (Florida), J.R. Towles (Houston), former major-leaguer’s son Koby Clemens (Houston), cutter-thrower-er Mark DiFelice (Milwaukee), Fernando Perez (New York NL), the Mark Prior (New York AL), the Kei Igawa (New York AL), former legitimate prospect Jeff Clement (Pittsburgh), former other legitimate prospect Andy Marte (Pittsburgh) former other-other legitimate prospect Brandon Wood (Pittsburgh), Max Ramirez (San Francisco), Adam Loewen (Toronto), the probably average major-leaguer Matt Antonelli (Washington). We hoped you liked reading Offseason Notes for November 7th by Carson Cistulli!